“ILLUMINUS” will return to Boston for HUBweek. This fall will burst with color and creativity as a couple of big festivals offer Bostonians plenty of ways to engage with the arts. ArtWeek Boston (Sept. 25-Oct. 4) features 115 events throughout Greater Boston, many of them free. Presented by the Highland Street Foundation and produced by Citi Performing Arts Center, ArtWeek offers everything from performing-arts classes to tours of iconic Boston spots, an MIT arts hackathon, an open-air fashion show in Downtown Crossing, and “Party in a Box,” in which foodies can wine and dine in the Citi Wang Theatre’s loge box seats. “This is such a fun and accessible way for people of all backgrounds to explore the creative part of our city,” says ArtWeek founder and Citi Center chief of staff Sue Dahling Sullivan. “The concept is basically very simple,” explains Josiah Spaulding Jr., president and CEO of the Citi Performing Arts Center. “We believe that the arts turn on the right side of the brain, which makes us creative human beings. The arts permeate every facet of our society. So the concept is, could we promote wonderful collaboration in the community by promoting arts in nontraditional spaces? . . . And it’s gone right through the roof.” For information, visit www.artweekboston.org. 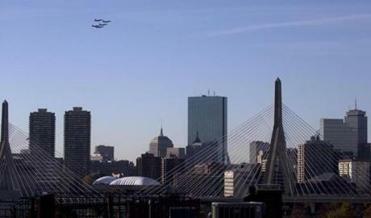 HUBweek (Oct. 3-10) is a Boston-area arts, science, and technology festival. A collaboration among The Boston Globe, Harvard University, Massachusetts Institute of Technology, and Massachusetts General Hospital, HUBweek aims to highlight cross-disciplinary innovation, says creative director Jeff Grantz. One key event is “ILLUMINUS,” a free nighttime experience that combines light, sound, projection, and performance to reconfigure everyday public spaces. Led by Grantz, “ILLUMINUS” debuted last year in the SoWa Arts District and this year as part of HUBweek heads to Lansdowne Street, where Fenway Park’s Green Monster becomes a giant percussion instrument in “Waking the Monster” and a range of other creative projects showcase the intersection of art and technology. 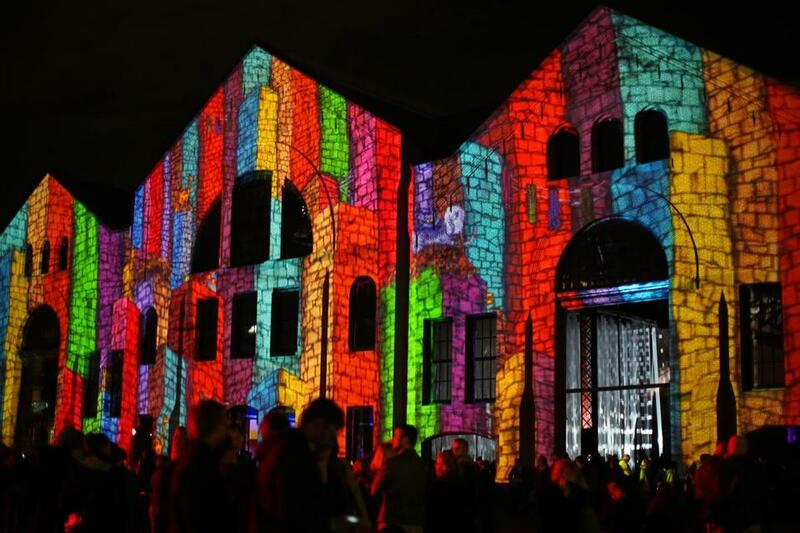 Other arts events sponsored by HUBweek include music production at Converse Rubber Tracks studio; explorations of music’s healing properties and how art and the brain interact; and a celebration of public art on the Greenway, including a block party in Dewey Square Park and an event centered on Janet Echelman’s aerial sculpture. What’s next for HUBweek? “It kind of grows out of the ground from here,” says Grantz. For information, visit www.hubweek.org.